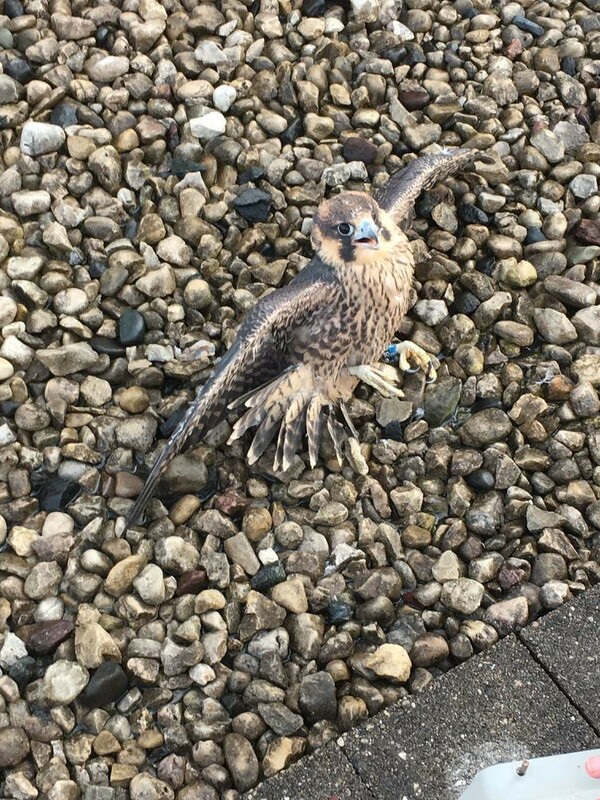 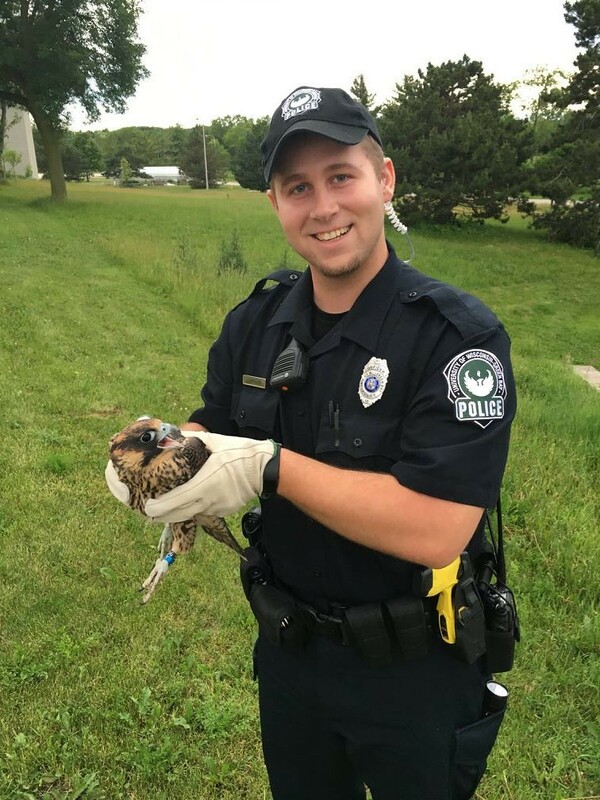 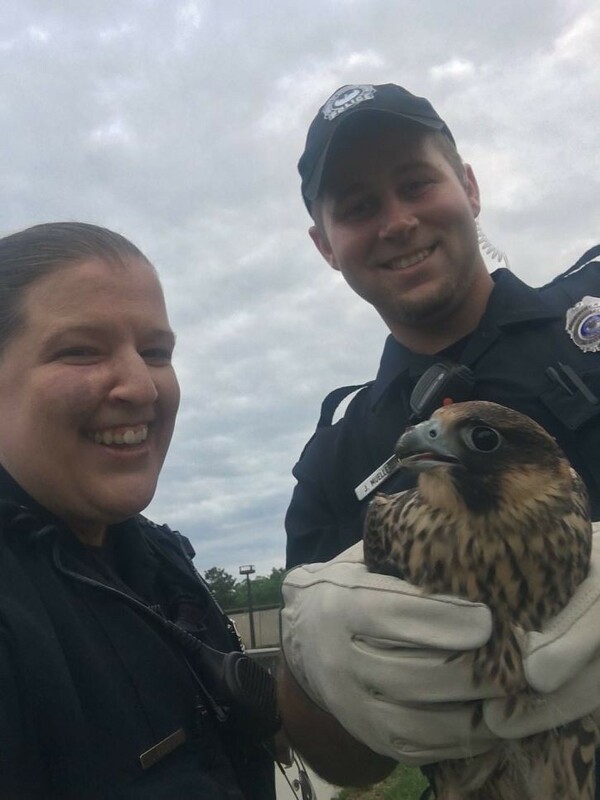 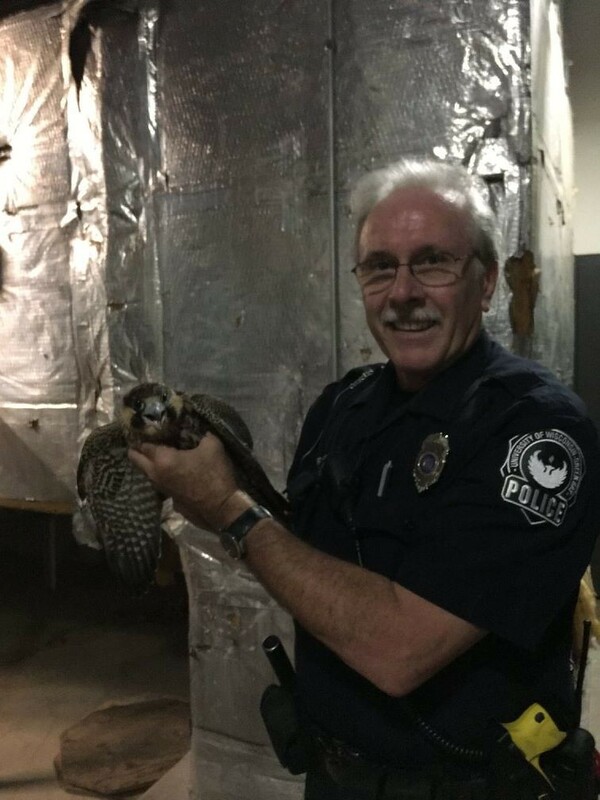 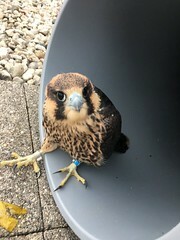 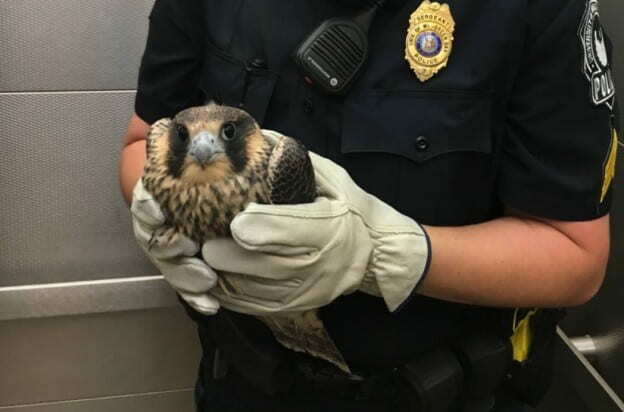 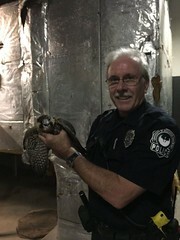 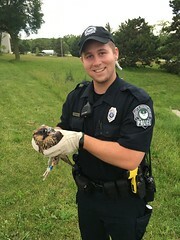 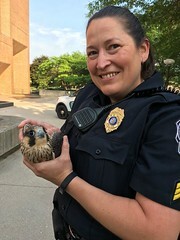 Recently, UW-Green Bay Police officers helped transport the peregrine falcon chicks back from the ground (or other various places they landed) to the roof of the library where their parents could care for them. Between Friday and Monday night (June 15 to June 18, 2018), a total of six transports were needed to keep the eyases safe from predators until they can learn to fly on their own. 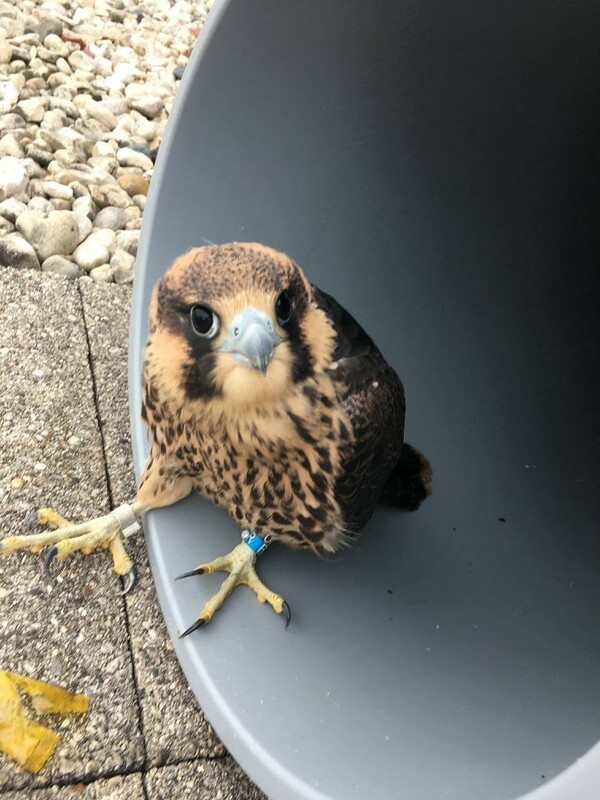 Falcon caregivers asked that the campus community be on the lookout for any of these little ones in need and call officers at 920-465-2300 ext. 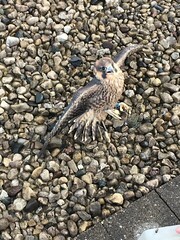 2, if they are seen where they don’t belong. See UW-Green Bay Public Safety’s original facebook album.